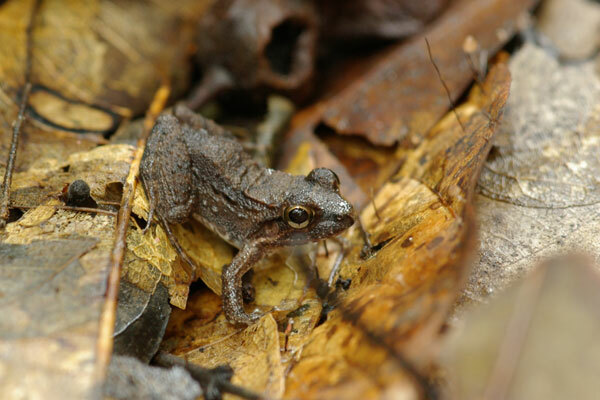 This species is sometimes classified as Leptodactylus andreae. 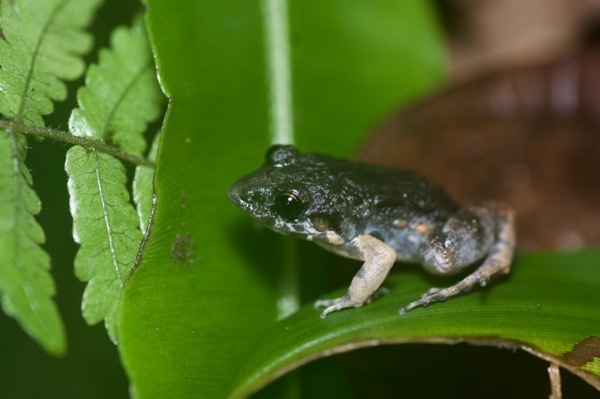 I gave our Mamirauá guides Carlos and Francisco a lot of credit for locating several of these tiny, well-camouflaged frogs for me on the forest floor. Whenever they noticed a flash of movement, they'd stop and stare carefully at the leaf litter for something frog-shaped. 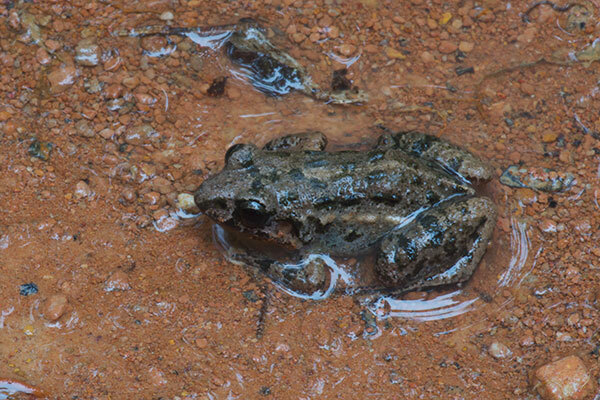 About half the time the frogs made a clean getaway, but the other half of the time they'd be spotted sitting perfectly still, brown on brown. "Tropical Lowland Bullfrog" is the most commonly listed name for this species on the web, but it is quite a silly name, as these inch-long frogs are about as un-bullfroggy as a frog can get. I think this is Adenomera andreae, though this species is hard to distinguish from Adenomera hylaedactyla, which also lives in this area. 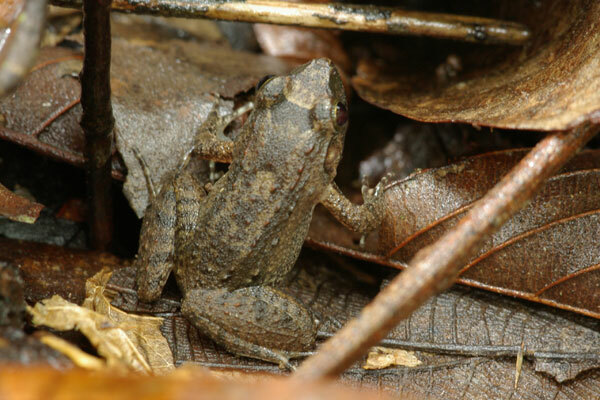 One difference is the length of the snout compared to the width of the eye (shorter snout in A. andreae); another difference is the typical habitat (open areas for A. andreae, forests for A. hylaedactyla); a third difference is the sound of the male's call. I didn't hear the call, and this one was at the edge of a wide trail through the forest, so no help there. But the snout looks short-ish to me, so I'm calling it A. andreae until I hear otherwise. Another one that could possibly be A. hylaedactyla instead. I'm guessing that it is A. andreae based primarily on its location on a trail in a relatively open area, far from primary forest.